An estimated 30 % of the proteins encoded in the human genome code for transmembrane proteins, highlighting the crucial importance of these macromolecules for our understanding of human physiology. Our lab focuses on a family of transmembrane proteins known as ion channels, molecular switches that regulate the flux of ions across the otherwise ion-impermeable hydrophobic core of biological membranes. These proteins play crucial roles in numerous physiological processes, such as neuronal and cardiac excitability. Genetic or acquired dysfunctions in ion channels are the known cause of pain, epilepsy, and cardiac arrhythmias, making them front-line therapeutic targets. Why do we need these receptors?! Cells, too, need to talk: the cell that has something to say sends out a signal (for example a small molecule), which then needs to be somehow recognized/sensed by a cell nearby. This often happens through a specialized protein in the cell membrane, called a receptor – which is exactly the kind of molecule we work on. Basic communication, really. The primary focus of our lab are acid-sensing ion channels (ASICs), another type of trimeric ligand-gated ion channels that play important roles in synaptic transmission throughout the body. This small family of ion channels has been implicated in numerous diseases, and ASICs are increasingly recognized as potentially important drug targets (Wemmie et al., Nature Rev Neurosc, 2013). 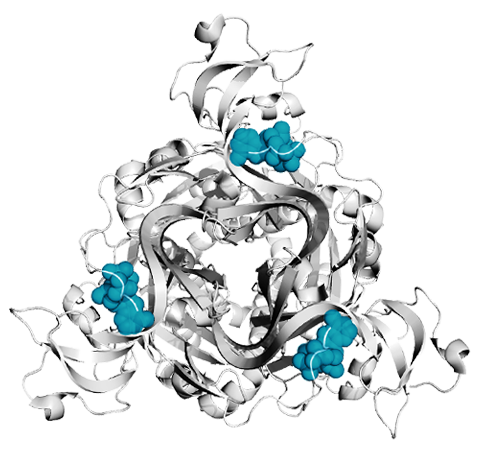 ASICs bind their native ligands (protons) in an extracellular ligand-binding domain that controls opening and closing of the channel gate in the transmembrane domain. 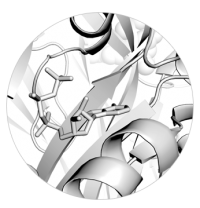 We are particularly interested in their mechanism of activation, the origin of their sodium selectivity, as well as their pharmacaology. An active area of interest in our lab are P2X receptors, another class of trimeric cation channels that open and close in response to binding of ATP. P2X receptors bind ATP in their extracellular ligand-binding domain and subsequently allow ionic flux across the membrane through opening of the channel pore domain. P2X receptors are expressed throughout the human body, where they play crucial roles in synaptic transmission, cardiac excitability, inflammation and nociception (Khakh & North, Nature, 2006). Importantly, these receptors have been implicated in neuropathic and inflammatory pain, epilepsy as well as hypertension, making them important pharmacological targets. WHY ALL THOSE FANCY METHODS? which is why we constantly try to come up with new (and often indirect) ways to study their function. ElectrophysiologyWhen ions flow across a membrane they generate an electrical current. These currents, although minute, can be measured with exceptional precision down to the level of ions flowing through a single ion channel. In our lab we employ a variety of different electrophysiological recording techniques to measure these currents. This includes two-electrode voltage-clamp and patch-clamp methodologies, including single molecule measurements (Lynagh et al., eLife, 2017). 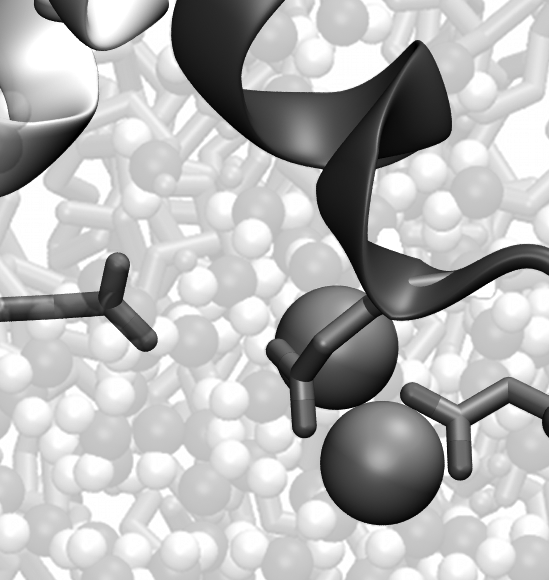 Non-canonical amino acidsEmerging chemical biology techniques allow the site-directed incorporation of ncAAs that expand the genetic code beyond the repertoire of the 20 canonical amino acids as protein building blocks. These ncAAs offer the ability to either incorporate subtle derivatives of naturally occurring amino acids or to confer entirely new properties to a given protein (Pless & Ahern, Ann Rev Pharm & Tox, 2013). FluorometryPatch-clamp fluorometry (PCF) and its cousin voltage-clamp fluorometry allow labeling an ion channel with an organic dye. When the protein changes its conformation or binds to a ligand, the dye reports a change in environment by changing its brightness. We have recently increased the sensitivity of this approach, allowing to track protein conformational changes independent of ionic currents with much greater temporal resolution (Wulf & Pless, Cell Reports, 2018).